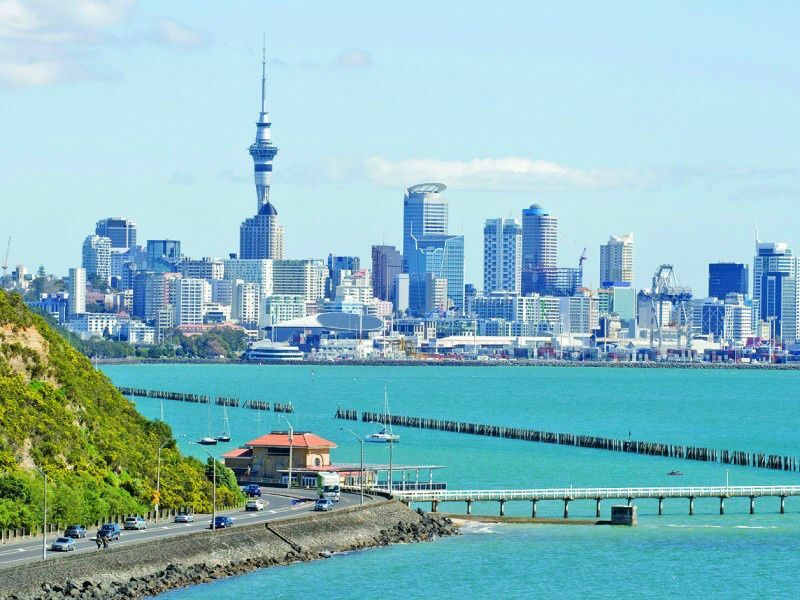 Auckland is a largest city in New Zealand and almost third of country’s population live there. 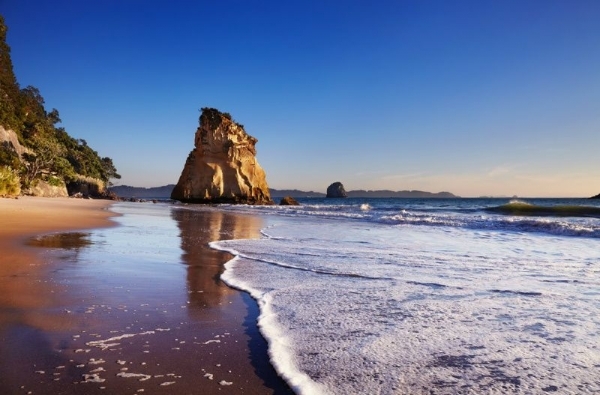 It is located between two large harbours in North Island, and its grounds are on top of more than 50 extinct volcanoes. But don’t worry, they are really extinct, last eruption happened in 15th century, with Rangitoto. Auckland is a modern city and main point of entry to New Zealand, but the capital of country is Wellington sitting centrally in country’s elongated islands shape. 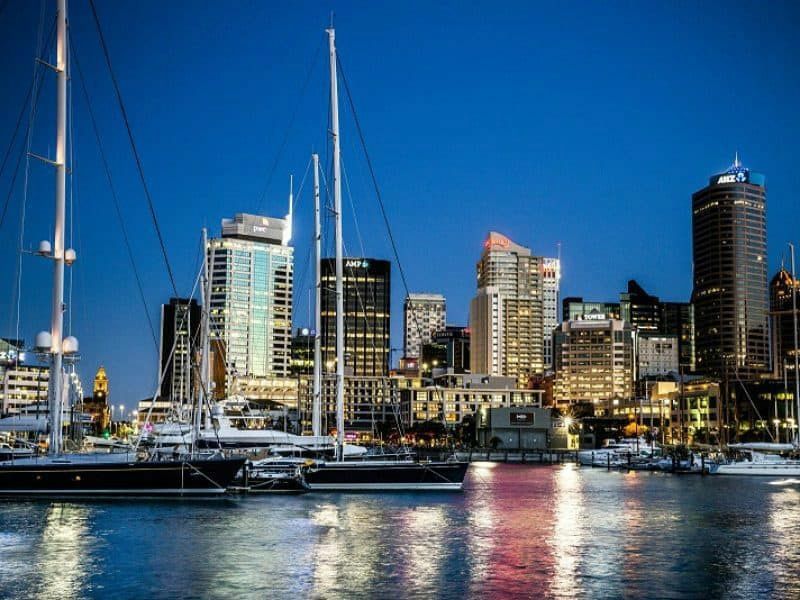 City skyline is dominated by Sky Tower, which gives stunning view of Viaduct Harbour, packed with yachts and sailboats. Hence the nickname of Auckland – the city of sails. 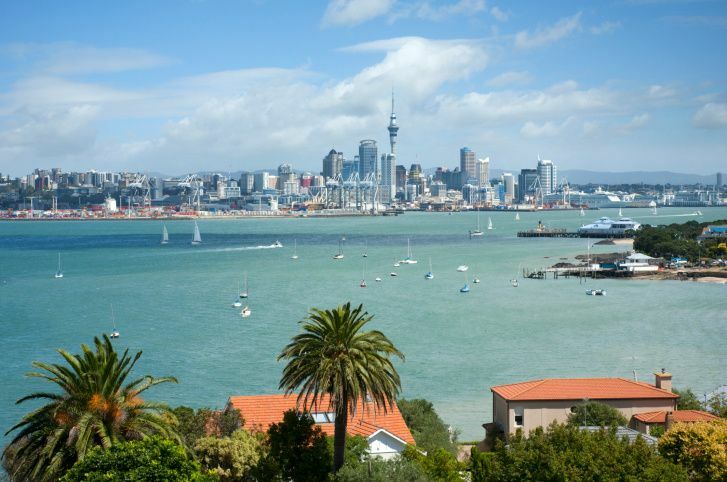 Auckland is very diverse and multicultural city and it was named one of the top cities for quality of life for several consecutive years, sharing top of the charts with Vienna and Zurich. Sky Tower. Landmark communication tower in Auckland, 328 meter high, offering panoramic views from high end revolving restaurant and, wait for it, bungee jumpingJ. Waiheke Island. 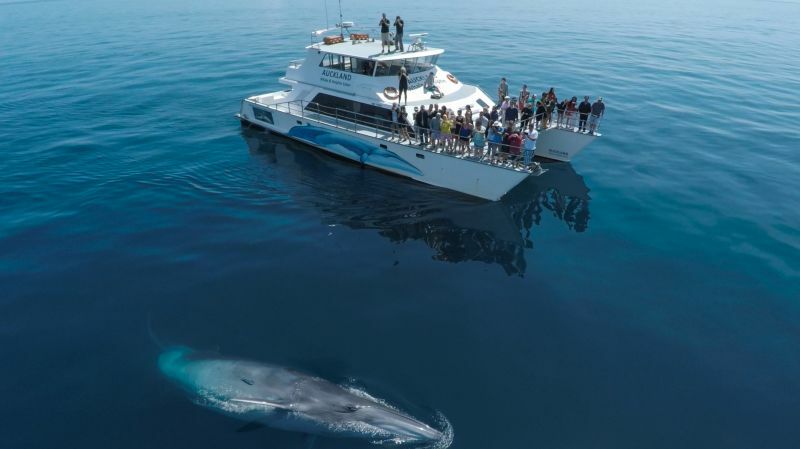 Second largest in the Hauraki Gulf, about 21 km away from Auckland. Famous for vineyards, wine testing and zip-lining activities. Rangitoto Island. The youngest volcano in New Zealand, formed only 600 years ago, located off the coast from Auckland on a circular island five kilometers in diameter. Hiking and birdwatching destination for many tourists. Auckland War Memorial Museum. Museum in Auckland exhibiting military and New Zealand history in a permanent collection. SEA LIFE Kelly Tarlton’s Aquarium. Large marine life habitat available by glass viewing tunnels, featuring live shows. Auckland Zoo. Large site hosting many animal types, 135 species with 1,400 animals in total. Most diverse wildlife exhibit in New Zealand. Auckland Domain. Large and unique park, located in top of blast crater of Pukekawa volcano. Featuring museums and memorials. Waitematā Harbour. The main harbor in Auckland. The name translates into ‘Sparkling water’. Offering guided tours and cruises. Waitakere Ranges. National park area 25 km west of Auckland. Featuring rainforest, waterfalls, hiking trails and black sandy beaches. Auckland Art Gallery Toi o Tāmaki. The main gallery in Auckland, featuring local and international exhibits and Maori art works, dating back to 11th century. One Tree Hill. A hill of a volcanic origin with an obelisk and a viewing deck. Serve as a memorial for Maori culture. Auckland Harbour Bridge. A large bridge over the Waitematā Harbour. Popular for bungee jumping and bridge climb. Kitekite Falls. Scenic, three tier waterfall with a swimming hole, 20 km west from Auckland. New Zealand Maritime Museum. Hui Te Ananui A Tangaroa. Featuring exhibits of country’s maritime exploration history. Offering sailing trips on replica ships and boats. Queen Street. The main street in Auckland, central commercial point of the city with shops, restaurants and bars. SKYCITY Auckland. Popular destination of tourist who want to try their luck in casino games, this complex features casino hotels and restaurants. Rainbow’s End. Large amusement park with over 20 rides, entertainment for young children, and restaurants. Located just south of Auckland. AJ Hackett SkyWalk & SkyJump. Walking on a tower ledge and bungee jumping, perfect for extreme adventure seekers. Great views of the city. Mudbrick Restaurant and Vineyard. Locate on Waiheke Island, just off the coast from Auckland, this romantic restaurant with vineyard offers great food and stunning, panoramic view of the area. Auckland Botanic Gardens. Massive, 64 hectares of garden, located in the south Auckland, featuring more than 10,000 plants, flowers and trees types. From other attractions we recommend: Mount Victoria/Takarunga, North Head/Maungauika, Cornwall Park, Piha, Museum of Transport and Technology and Motutapu Island. There are so many activities to do in and around Auckland. You can go for a cruise in the harbor or between the islands, you can go for wake and dolphin watching and you can also go for a unique island hopping on a sea plane! Other outdoor activities include sailing and fishing, bridge climbing and bungee jumping and going for a hike in one of the natural landmarks around the city. 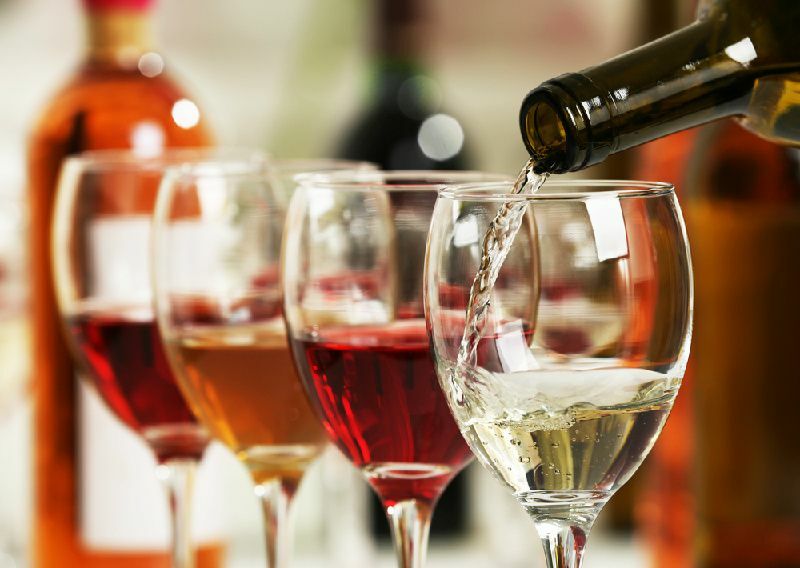 Auckland area has many vineyards and you should certainly go for a wine tasting and dinner tours, which you will enjoy for sure. The night life in Auckland is also very diverse and exciting and you can go and visit some of many clubs and entertainment venues. St Jerome’s Laneway Festival (January), Auckland Pride Festival (February), Auckland Lantern Festival (March), Pasifika Festival Auckland (April), Elemental AKL (July), New Zealand Fashion Week (August-September), Auckland Diwali Festival (October), Taste of Auckland (November), Christmas carnival (December-January). Auckland is sitting on over 50 volcanoes. Auckland is home to the world’s largest Polynesian population. Sky Tower is one of the tallest structures in southern hemisphere. Auckland is served by Auckland Airport (AKL). Direct flights to Auckland are offered by 18 airlines.